Northwest Georgia (GA) Murphy Business is a leading business brokerage firm specializing in buying and selling businesses and franchises. IBIS World has recognized Murphy Business as the #1 Business Brokerage Firm in the United States. 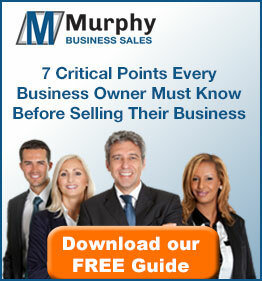 Murphy Business has an M&A Professional in the Northwest Georgia market. A strong presence in the community provides insight into the local market. Beyond the local market, Murphy Business is a national firm and has affiliations with National and International Business Broker and Merger & Acquisition associations. This broad reach helps assure buyers and sellers the maximum access to their sale or search. Selling your company, buying a business for yourself, or completing successful M&A transactions are significant decisions for both professional and personal reasons. We are part of a network of over 250 full-time Mergers and Acquisitions professionals through the United States and North America. We utilize the Murphy network to take advantage of industry knowledge through previous transactions and corporate experience, buyer databases, and administrative support. With sales of hundreds of millions of dollars of businesses each year, we successfully represent our clients with experience and exposure to almost every industry.